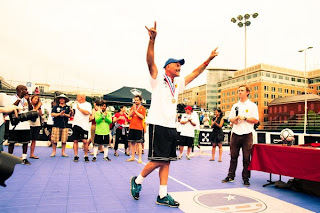 Street Soccer Ann Arbor is run in partnership with the Project Outreach Team from Washtenaw County Social Services. The organization serves homeless, mentally ill and disabled people. The Ann Arbor team won the Fair Play Trophy from SSUSA in 2010 and Sara Silvenoinnen, the team’s founder, was the SSUSA National Coach in 2008.